Tim Jenison, a Texas-based inventor, attempts to solve one of the greatest mysteries in all art: How did Dutch master Johannes Vermeer manage to paint so photo-realistically 150 years before the invention of photography? Spanning a decade, Jenison's adventure takes him to Holland, on a pilgrimage to the North coast of Yorkshire to meet artist David Hockney, and eventually even to Buckingham Palace. The epic research project Jenison embarks on is as extraordinary as what he discovers. Anyone who ever thought they could paint as well as a notable artist will want to check out Tim’s Vermeer. The film introduces us to Tim Jenison, an inventor/technological innovator who lives in San Antonio, Texas. Over his life, Tim’s work has shown his intellect and ingenuity – and also made him extremely wealthy. Though not a painter, Tim decides he wants to use his analytical skills to figure out how 17th century Dutch artist Johannes Vermeer created his masterpieces. We follow Tim’s path as he puzzles through this – and wait to see if he pulls off the feat with his own “Vermeer”. In addition to Jenison, Vermeer gives us comments from narrator/movie producer/illusionist Penn Jillette, painter/entertainer Martin Mull, historian Philip Steadman, artist David Hockney, and Oxford professor Colin Blakemore. Jenison dominates the movie, but the others manage to flesh out various areas. If nothing else, Vermeer comes with a great hook, as it promises to attempt an answer to an old question: with no record of formal training, how did Vermeer create his nearly photo-realistic paintings? As noted in the film, Jenison doesn’t present a wholly original theory, but his actions put it to the test in a manner not previously attempted. The basic concept of a non-painter’s attempts to recreate works of art essentially via science and deduction seems compelling. And for a while, Vermeer lives up to its concept. The first third or so fares nicely, as we get a good intro to Tim and his ideas as well as info about Vermeer and related topics. As the movie digs into its material, it keeps us curious and intrigued. Unfortunately, this doesn’t last. After a while, the film falls into something of a rut, as it revolves so heavily around Tim’s technical efforts that it becomes dull and slow. Perhaps the filmmakers intended this as a way to show the work that went into the painting. If Vermeer really did use the techniques on display here, the movie wants to portray how much painstaking effort needed to go into his creations. That means we watch Tim’s suffering as he spends months on his painting. While I can appreciate the notion that we must feel Tim’s pain to understand what Vermeer did, this doesn’t become entertaining filmmaking. Even at a mere 80 minutes, Vermeer really drags, as all those shots of Tim with a brush in his hand get tiresome fast. I’d also like to see a bit more of an alternate viewpoint. Although the film makes a good argument that Vermeer used optical methods to abet his creations, this theory doesn’t enjoy universal acceptance. We get nods toward alternate ideas but these seem minor and borderline grudging. As an outsider to the issue, I’d prefer to hear more about the opposing side than we find here. Honestly, Tim’s Vermeer would’ve been better suited to be a 30-minute TV show than an 80-minute feature film. It poses an interesting question but lacks enough compelling material to keep the viewer involved for its entire running time. Tim’s Vermeer appears in an aspect ratio of approximately 1.78:1 on this Blu-ray Disc. This became a consistently appealing presentation. This became an appealing presentation. Sharpness was solid. Shot on high-def video, only a smattering of slightly soft shots appeared, so the majority of the program seemed accurate and crisp. I saw no shimmering or jaggies, and edge haloes failed to appear. Print flaws also didn’t interfere with the image. Colors tended toward a natural feel and seemed appropriate. While they didn’t leap off the screen, they showed positive reproduction. Blacks were dark and deep, and low-light shots displayed nice clarity. All in all, the image satisfied. One wouldn’t expect much from the documentary’s DTS-HD MA 5.1 soundtrack, and the mix seemed restrained. Effects were essentially a non-factor, and the back channels offered little – if any – material. Much of the film focused on speech, and those lines stayed in the front center. Music offered positive stereo imaging. Audio quality appeared fine. Again, effects were a minor element; the bits and pieces we heard were accurate but stayed in the background. Music stayed gentle but seemed smooth and distinctive, while speech appeared natural and concise. Though nothing impressive, the mix fit the documentary. As we shift to the set’s extras, we launch with an audio commentary from director Teller, producers Penn Jillette and Farley Ziegler and subject Tim Jenison. All four sit together for this running, screen-specific look at the project’s roots, story and history elements, research, music, editing and narrative choices, background to various sections, and some shoot specifics. Across the board, this becomes a solid commentary. I worried that Teller may remain silent to continue his public persona, but that doesn’t occur, as he provides a chatty, engaging presence. The track covers a good mix of areas and adds to our understanding of the film. We learn a bit more from a Toronto Film Festival Q&A. This runs 21 minutes, 21 seconds and offers notes from Penn, Teller, Jenison, and Ziegler. They go over the notions behind the film and aspects of its development, telling Tim’s story and editorial choices, music, and some art-related notes. We get a few remarks that echo the commentary, but we also learn a decent amount of new material here. 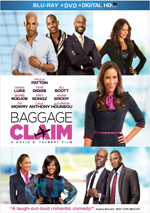 Six Deleted Scenes occupy a total of 22 minutes, 45 seconds. In these, we get a version of the film’s “origin story” – also heard in the commentary – as well as an alternate opening and additional bits with Tim. The opening and a scene at Buckingham Palace would’ve added a much stronger “Penn and Teller” vibe to the film, so I’m glad they’re cut. On their own, they’re entertaining, but I think the movie fares better without so much of Penn’s brash personality. All the scenes are fun to see but not compatible with the finished project. Five Extended and Alternate Scenes fill a total of two hours, 18 minutes and 13 seconds. This is where I say “that’s not a typo” – this collection really does last almost twice as long as the final film. The segments include a long confab between Tim and Martin Mull, a discussion of Caravaggio, a test with a model, a chat between Tim and David Hockney, and more of Tim at work. Given that the 80-minute final film already seems long, I didn’t welcome the chance to see 138 minutes of additional footage, and the material proves to be pretty dull. Actually, the Caravaggio piece offers some value, and it’s fun to get more of Hockney, even if the quality of the recording makes it tough to understand at times. We get way too much of Tim’s technical explanations, though. A little of these go a long way, so long, long discussions add little. Whatever new info we find becomes buried beneath the tedium of the scenes; they really drag and can be a chore to watch. The disc opens with ads for The Lunchbox, For No Good Reason, Only Lovers Left Alive, The Invisible Woman and Jodorowsky’s Dune. These also appear under Previews, and we get the film’s trailer as well. A second disc provides a DVD copy of Vermeer. It includes the Q&A as well as some – but not all – of the deleted and extended scenes. 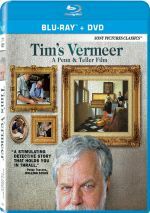 At the heart of Tim’s Vermeer, we find an intriguing story, and the movie manages to maintain our attention for a while. Unfortunately, it grows tedious before too long and threatens to lose the viewer well before it ends. The Blu-ray brings us very good picture, acceptable audio and a broad collection of bonus materials. I want to endorse the film but think it becomes too dull to be a true success.